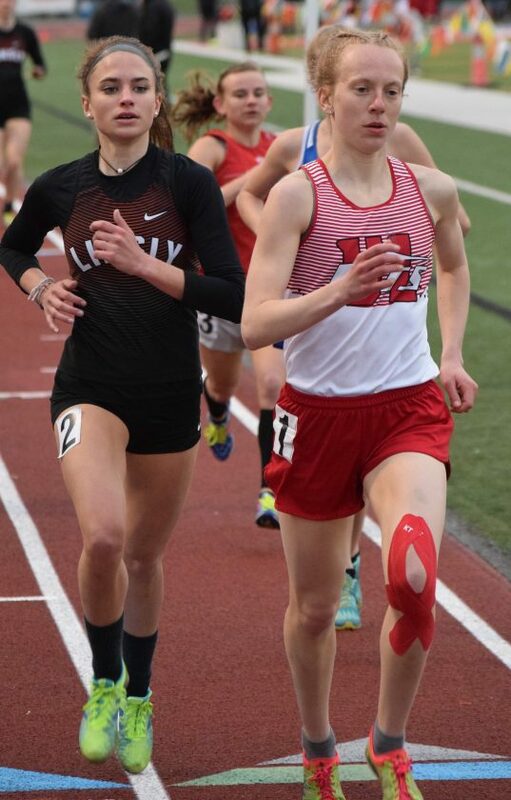 T-L Photo/SETH STASKEY UNION LOCAL’S Hannah Kemp and Linsly’s Molly Herron race in the 1600 meter run during Friday’s Porterfield Invitational at St. Clairsville’s Red Devil Stadium. Kemp won this race and she added the 3200 meter run title as well. ST. CLAIRSVILLE — When a track team lists its goals, post-season and OVAC success are at seemingly always at top of the list. Weir High’s junior speedster Sebastian Spencer swept the short sprints. He won the 100 in 10.93 and sprinted to a meet and stadium record in the 200 with a time of 21.88, which was nearly two full seconds better than his nearest competitor.